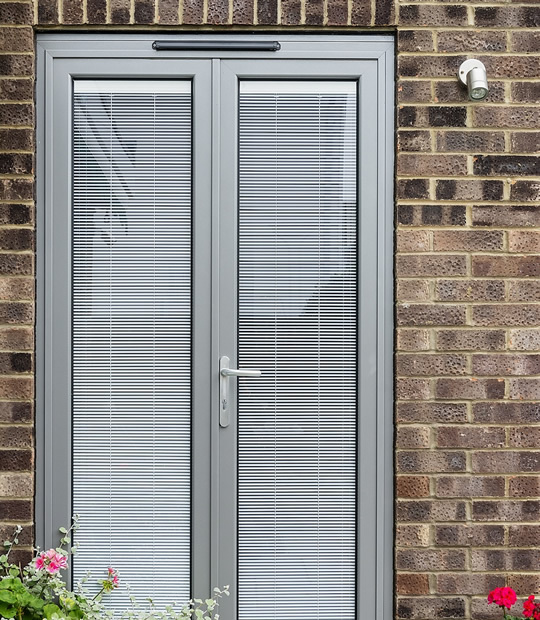 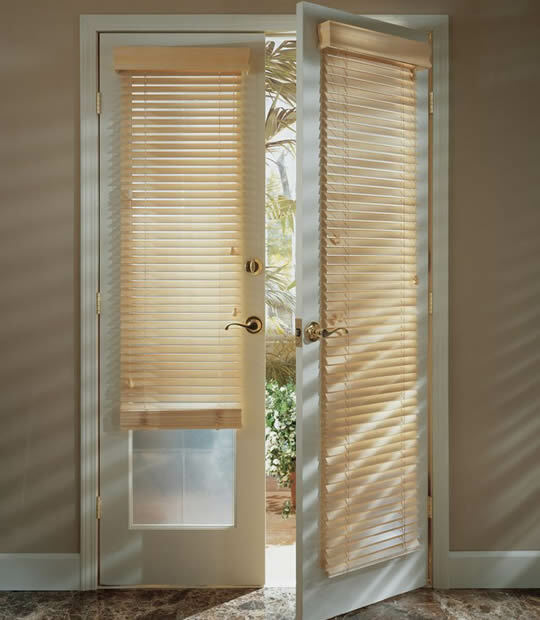 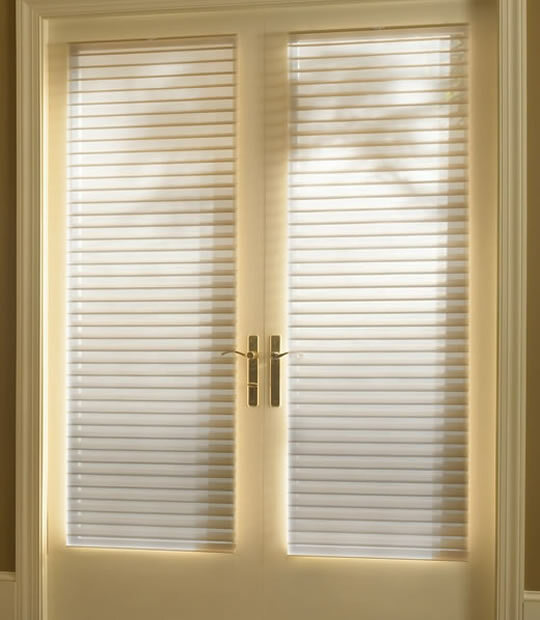 Choose from 1" wood blinds or Mini Blinds or Cellular shades for French Doors. 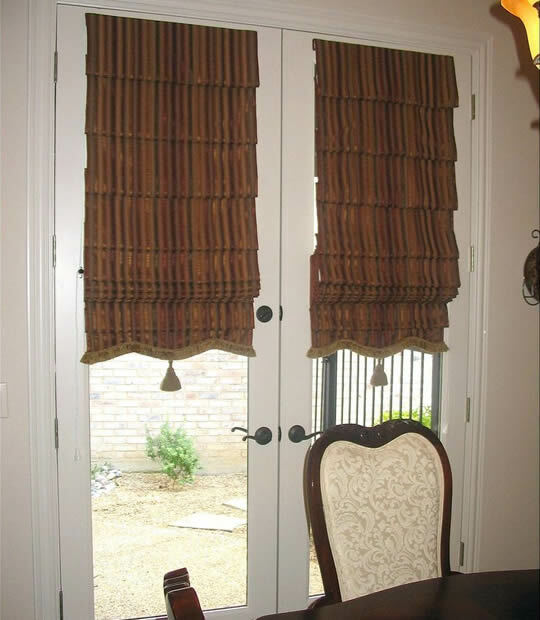 Roman Shades provide a luxurious look to any door. 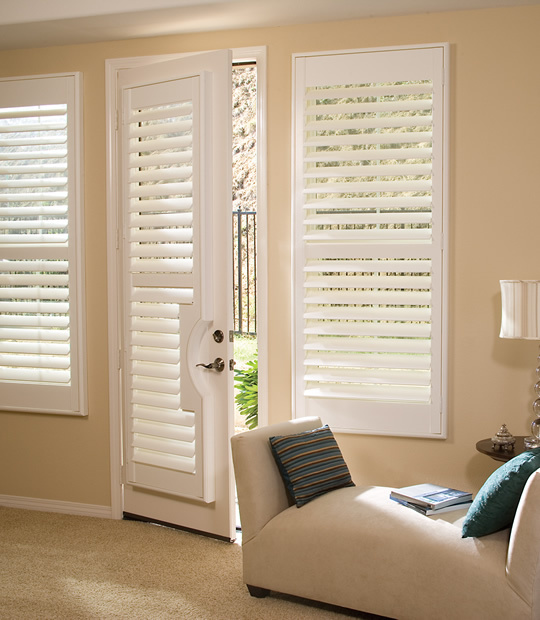 Plantation Shutters looks great on any french doors. 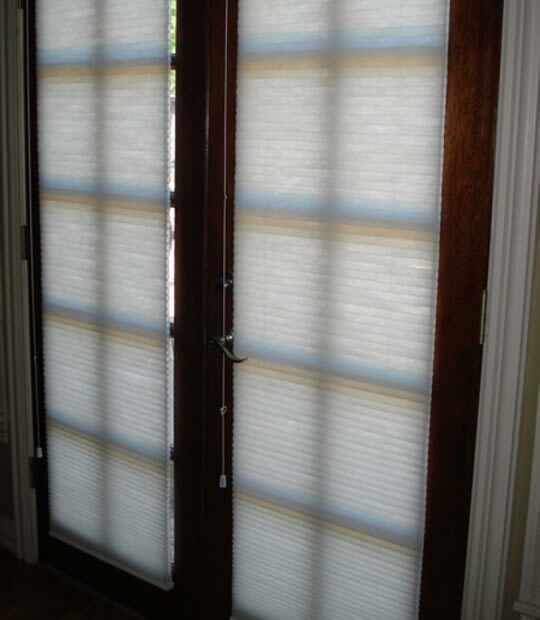 Sheer Shades gives a soft and elegant look.